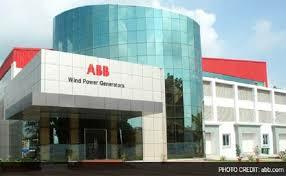 ABB India's consolidated net profit rose 36.09% to Rs 102.15 crore on 20.76% rise in total income to Rs 2736.28 crore in Q2 June 2018 over Q2 June 2017. The announcement was made after market hours yesterday, 19 July 2018. Bajaj Finserv's consolidated net profit rose 49.38% to Rs 1328.52 crore on 16.4% rise in total income to Rs 8771.21 crore in Q1 June 2018 over Q1 June 2017.  The announcement was made after market hours yesterday, 19 July 2018. Among corporate news, Wipro and Bajaj Auto among others will announce April-June 2018 earnings today, 20 July 2018. Alembic Pharmaceuticals said that the company has received Establishment Inspection Report (EIR) from United States Food and Drug Administration (US FDA) for the inspection carried out by them at our API Facility at Karakhadi during the period from 14 May 2018 to 18 May 2018. With this, all manufacturing facilities for international markets are FDA compliant. The announcement was made after market hours yesterday, 19 July 2018. IRB Infrastructure Developers said that meeting of the board of directors of the company will be held on 25 July 2018 to consider raising of funds by issue of securities including but not limited to Equity Shares, American Depository Receipts/Global Depository Receipts / Foreign Currency Convertible Bonds (FCCBs) and /or non-convertible debentures along with warrants ('NCDs and Warrants') and/or any securities convertible into Equity Shares through public and/or private offerings and/or on preferential allotment basis, including to qualified institutional buyers by way of Qualified Institutions Placement ('QIP'). The announcement was made after market hours yesterday, 19 July 2018. Gujarat Sidhee Cement said that the company has halted operations of Kiln and upstream equipment in cement factory due to heavy rainfall in entire Gir Somnath district.